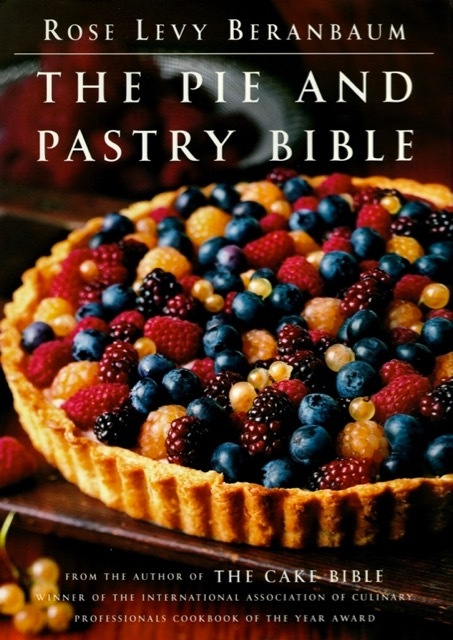 The Pie and Pastry Bible, published in 1998, received many kudos including: Food & Wine Books "Best of the Best: The Best Recipes from the Best Cookbooks of the Year" and Coffee & Cuisine "Best Cookbook" award. 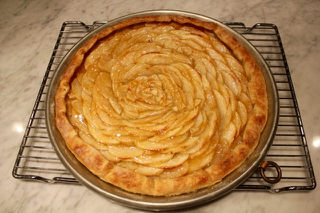 Rose's encylopedic book, The Pie and Pastry Bible, 1998, was nominated for a James Beard award. It was also included in Food and Wine's book "the Best of the Best." "Ms. Beranbaum may be the most meticulous cook who ever lived." --The New York Times "
Thanks to The Cake Bible, I'm known for cakes, but my greatest love to eat is a fruit laden or filled pastry, such as cherry pie, lemon tart, sticky buns filled with rum soaked raisins.........and this 692 page book with over 250 recipes, which took me over 5 years to write, has all of them. It also includes a wide variety of pie crusts from my favorite tender, flaky, and flavorful cream cheese and butter crust to savory crusts made with goose fat or beef suet. The excellent illustrations were doing by my high school classmate Laura Maestro. When people speak of Rose Levy Beranbaum, they tend to use the same terminology that is usually reserved for saints and prophets. I bought this book to see what all the fuss was about. OK___the fuss was about a blend of perfection and friendly writing. This is a great cookbook.